I originally wrote this after a radio interview with Karen Black of CJOB on this subject, back in 2012. Not much has changed since then. . .
Karen read off some price comparisons that I did a couple years ago showing how potato chips cost about 450% more than yams, when compared by cost per kilogram. Karen made an interesting point.. we automatically assume that the potato chips are cheaper, and when we see the actual price comparison it seems unbelievable. The potato chips have to cost more than a raw potato because of all the processing involved. Think about it; up to the point of getting the potato out of the ground and ready to ship potatoes and potato chips cost about the same. The potato chips have many extra processing steps, each adding cost. From washing, peeling, cooking, and adding salt and other ingredients, adding the packaging, and the cost of advertising, the final potato chip product would have to cost more than the simple unprocessed raw potato. Potato chips are actually pretty expensive, around $4.00 to $6.00 per kilogram, or were, according to a cost check I did in 2010. Here's an add for potato chips in a recent flyer.. a great 3 for $8.00 sale.. 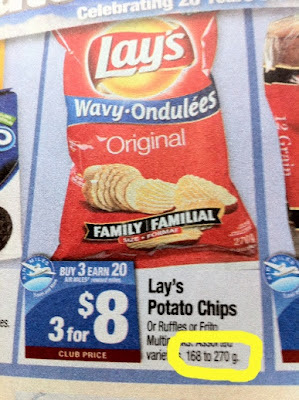 Potato chips 810g for $8.00 is $9.87/ kg. To be generous I'm assuming a person is buying the best deal; 3 of the 270g bags. Looks like the price went up over the past 2 years. On my last grocery shop I bought a 5 lb bag of potatoes.. 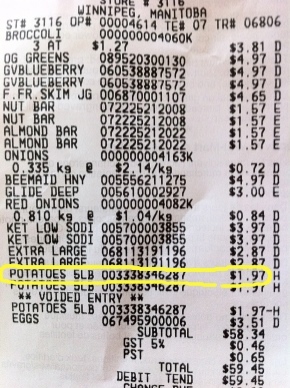 Potato chips are $9.87/kg where potatoes are $0.87/ kg, a dimension bending 1134% more expensive for the potato chips. It's been said that people have to buy potato chips because junk food is cheaper than healthy food.. I am actually infuriated by this bogus claim. Here are more direct cost comparisons. 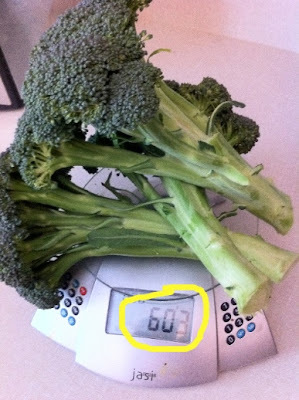 See for yourself, most healthy choices are considerably cheaper than processed "junk food"..
Pre-cut bagged broccoli $5.48/ kg. No excuses here, it's already cut..
Hey wait a minute, this pie isn't cut. You know, I'm pretty busy.. I don't have the time to spend time cutting up pie..
Look inside your head.. 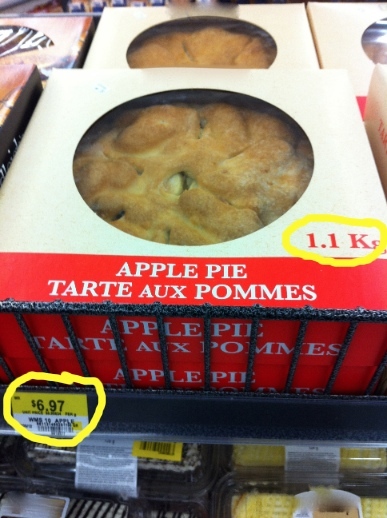 If you're an apple pie lover, how do you feel when cutting into an apple pie, compared to chopping broccoli? I'll bet most will feel pretty motivated to cut the pie. Nobody will be contemplating how busy they are. 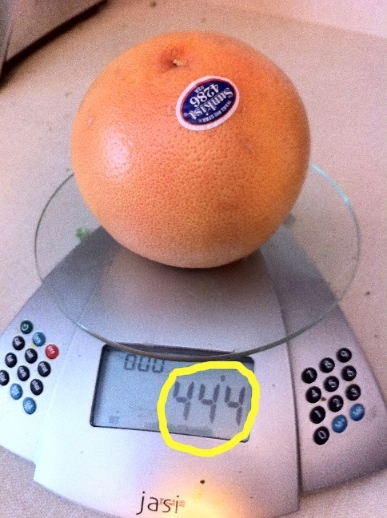 When I've asked the average person why they don't feel as excited about cutting into a grapefruit or dicing veggies compared to pie or some other fat-bomb, most have looked at me like I have two heads. It simply doesn't occur to us that great tasting healthy food deserves the feeling of anticipated gratification. We spend our lives practicing making the emotional connection to feeling rewarded by crap food and so this becomes our default. We don't contemplate this reward at all, we're trained to automatically compute the reward. At the same time we adopt traditional myths and negative associations with fruits and veggies as being second class citizens and instantly categorize them with our well-practice prejudice, automatically scoffing at the idea that one would actually look forward to or enjoy them to any great extent. Half this grapefruit is considered one serving. The whole candy bar below is one serving. Costing out per serving, the candy bar is 19X more expensive. Whaaaat? That's 1900% more costly. It is significantly cheaper to hand out grapefruit servings to kids (or anyone) than it is to hand out candy bars. Ain't that like getting hit in the head with a frying pan? Wake-up call for sure. Long ago I had an epiphany.. (I may have had another since then, epiphanies can be fickle). 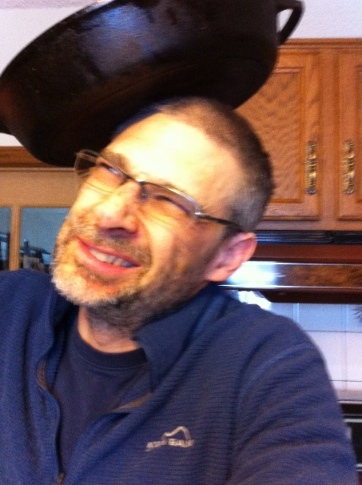 I was struck so profoundly by my personal insight I likened it to being hit in the head with a frying pan, so obvious, enlightening, and unavoidable a conclusion it was. Not one of those lightweight cheap aluminium pans, but a full-on cast iron job that grandma used on the log-fired stove. For a few years I had "frying pan day" in my calendar to remind me of the occasion and how sometimes we need to escape our myopic prejudices and get real. I seem to have forgotten what that epiphany was.. I'm sure it was a really important personal breakthrough.. but I did remember the frying pan crack in the head analogy for teaching us the wrongs of our ways. Anyhoo, waking up to the reality that most of us fool ourselves every day when it comes to how and why we make our food and exercise (or lack of) choices qualifies for a "frying pan day" in my books. A recent study suggests women who eat lot's of citrus fruits like grapefruit may reduce their risk of stroke by 19%. Any guess as to what happens to your body when you eat lot's of candy bars? How "convenient" is a stroke? I love fresh, cool, juicy grapefruit. Keep it in the fridge for sure. I enjoy this more than I enjoy dark chocolate. No way you say? How does grapefruit compete with the intense chocolately goodness of premium dark chocolate? I really do enjoy the flavour, the juiciness is an extra, plus when I eat grapefruit I'm thinking of how nutritious it is. Nutrient density is a huge benefit and something worth feeling gratified for. This is an important step to teach ourselves when learning how to eat healthy.. making the health benefit association connection click in our heads and give us a sense of reward. When I eat dark chocolate I know it tastes great, but at the same time I'm thinking that I have to temper how much I eat because the chocolate bar is a total calorie bomb that makes it really easy to import useless fat calories into my fat cells. Overall the chocolate bar isn't as rewarding as the healthy fruit because it falls short on delivering essential nutrients that our bodies need. 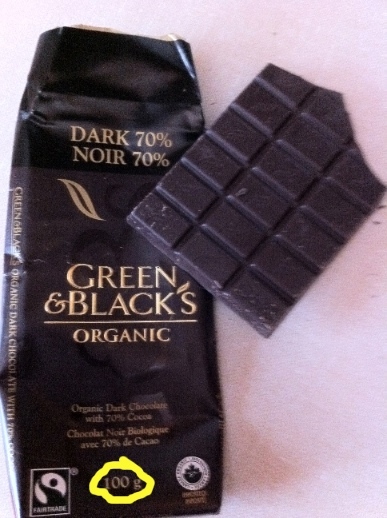 Sure, dark chocolate does deliver a good dose of antioxidants, but no more than fruits and veggies, and not without the downside of extra calories negating any benefit of antioxidants with only a modest serving. That's the same price as premium wild sockeye salmon. At point of purchase this doesn't seem like it's expensive, but add up all the servings and compare by weight and by serving, this candy bar is the same price as wild salmon, a great source of healthy and essential omega 3 fats. One look at the price of salmon and most people balk. 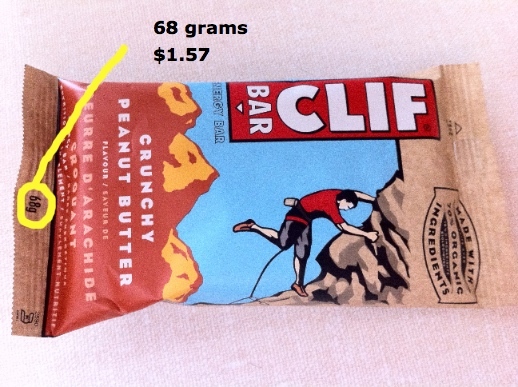 But what if you put a 52g piece of salmon next to this 52g piece of candy bar and put the same price on them? 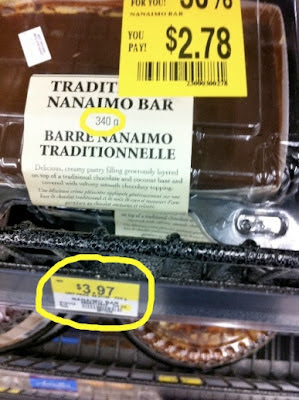 Funny, we make excuses to buy candy bars because they are cheap, and avoid wild salmon because it's expensive. They are the same price. One of the most nutrient dense veggies you can get with plenty of research touting health benefits. 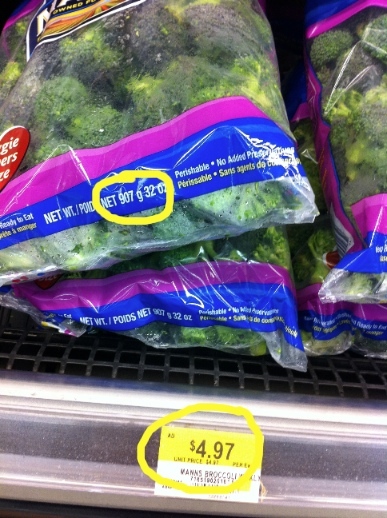 Most people think broccoli is one of the most expensive veggies, and view junk food as considerably cheaper. The opposite is clearly true. Broccoli is at least half the price as most junk food. Suspiciously, it appears someone has eaten half this item. Ok it was me. I do this for you, my loyal reader. I'm testing this product on your behalf and can tell you it tastes really good, is VERY expensive, and has to be kept to a minimum otherwise the extra calories pack on the pounds relentlessly. 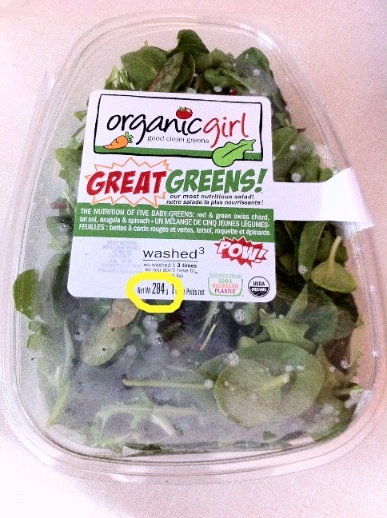 Organic pre-washed salad $17.50/ kg. You may say, "ah ha! Gotcha Cris! this is really expensive." It's cheaper than a candy bar. Plus, isn't your health worth something? The nutrient density of this salad is significantly higher than any of the junk food choices here. If your excuse is convenience.. it takes too long to chop up veggies.. someone has done it for you here and you pay for that, plus a premium for the organic cache. 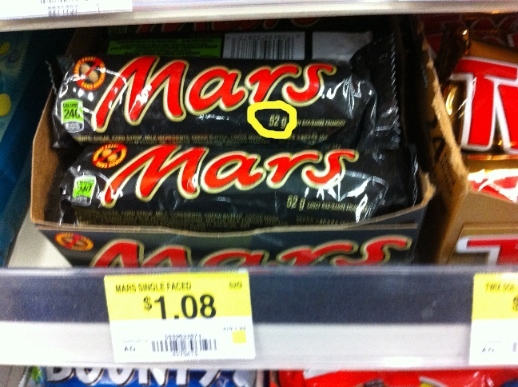 Even with those extras's, the candy bar is still more expensive. Make that 3 points. What do you think will happen to your waist line and risk of cardiovascular disease by eating this salad compared to adding junk food deserts and snacks? Even on sale this easy to eat fat bomb is considerably more expensive than almost any fruit or vegetable. Healthy energy bar $23.08/ kg. 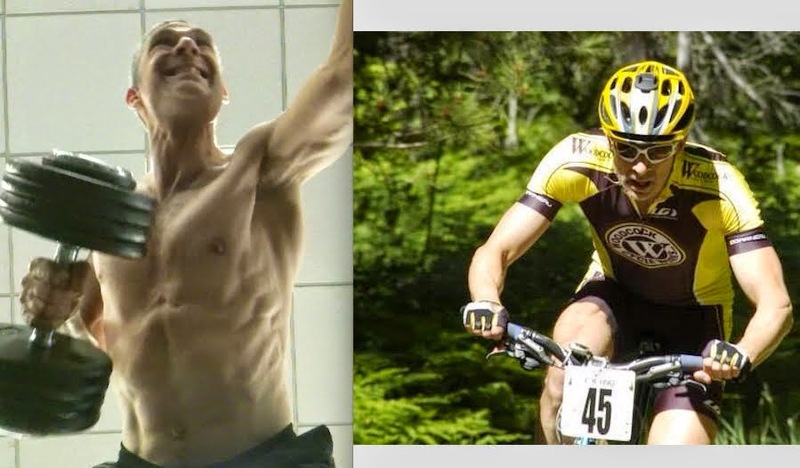 You pay a premium price for energy bars with organic ingredients, especially those marketed at the health conscious outdoorsy sports person. 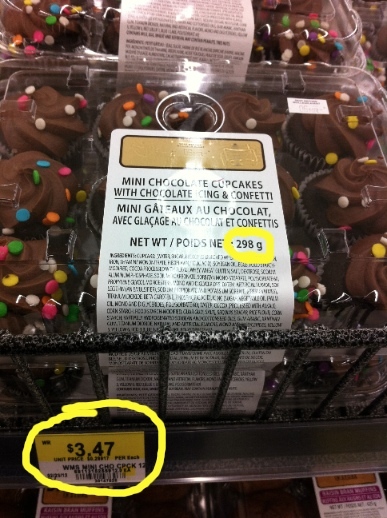 This is still cheaper than dark chocolate and about 11% more costly than a typical candy bar. Compared to a typical candy bar many energy bars are more nutrient dense and have less saturated fat, but read the label, some have just as much fat and sugar. 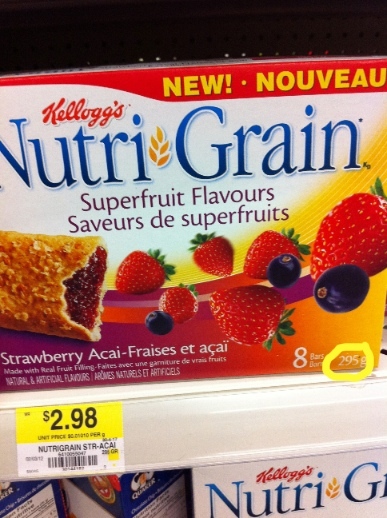 While less than half the price of the premium energy bar as well as the common candy bar, this appears to be a better deal, and hey it says it's "made with real fruit". If you're looking for a fruit fix, you're better off buying fruit, which is significantly cheaper. An orange, banana, or apple will cost about 35 to 45 cents and retain more nutrient density than a processed fruit bar, as well as having no added sugar or other ingredients. Surprisingly fruit is made with 100% real fruit, and nothing else. Grapes. Expensive right? For sure. This is the fruit of Roman emperors. Grapes are a premium fruit. Better to buy an inexpensive fruit bar instead right? 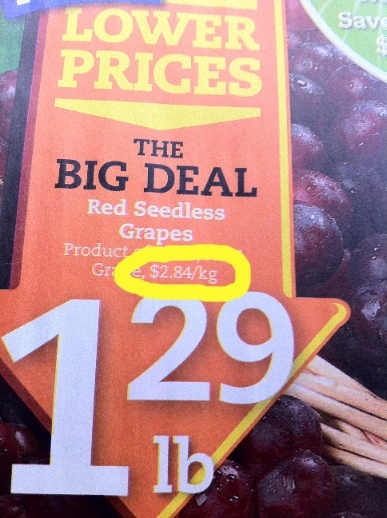 Red Seedless grapes $2.84/ kg -- about 72% less costly than the fruit bar. These "costly" grapes are also cheaper than candy bars, with candy bars costing over 700% more. Those cheap candy bars displayed at point of purchase for the quick impulse buy cost 700% more than red seedless grapes? Yes, it's an irrefutable fact. That rattles the cage of most. "Can't be true!". I've seen the twisted facial expressions.. people simply can't believe it. Most are convinced there's some kind of catch, some kind of fancy tricky math meant to fudge the numbers. Nope. It's a fact, most healthy food is significantly cheaper than fast food/ junk food. I used to believe the common urban myth that junk food is cheaper than healthy food. Indeed, how many times have we heard on the news that junk food is cheaper than healthy food making healthy food inaccessible to many? When I did a simple price comparison myself it was easy to bust the myth. Part of the satisfaction of eating healthy is realizing that eating to feel stuffed is a misnomer that feels great to be liberated from. Instead of feeling ungratified from a salad not filling us up, we learn to realize, "hey wait a minute.. I had it all wrong, eating to the point of being stuffed was harming me, not helping me.. eating less is very satisfying because I know I'm not causing myself harm by overeating." Once you get into the groove of not gaining weight, feeling great, and feeling satisfied by eating the right amount instead of always overeating, you feel liberated. You feel good. You're not trapped anymore. One step to take is overcoming the myriad of well established myths about healthy living. These myths are so well ingrained they are treated as emphatic facts and the truth of healthy living is treated as an impossible lie. We are literally in the dark ages societally when it comes to understanding healthy living. The flat-earthers are the standard and those making healthy choices are heretics and scatter-brains.. scolded publicly for spreading their sorcery and blaspheme about how healthy living is cheaper and more gratifying than unhealthy living. The dark ages didn't help anyone. Let's lift ourselves out of this self imposed state of arrested development. Overall healthy food is cheaper on the pocket book, and less costly in terms of health and well being. Complaining about being out of energy and run down? Go on the cheap and start eating healthy. Within a couple weeks you'll feel the difference. You'll feel more energetic and lose weight. Hmmm. Eating crap food makes you feel like crap and is so calorie dense we gain excess fat eating it, and it costs far more than healthy eating. What's the point in eating all that junk food?